These days technology surrounds us everywhere and in whatever we do. We cannot imagine our daily lives without mobile phones and laptops. Both these devices run on a battery which needs to be charged at regular intervals. As the usage increases, the battery also drains quicker. You can easily charge it when you are involved in indoor activities. However, while you are traveling, it becomes a problem to charge the battery if you don’t have a car charger. 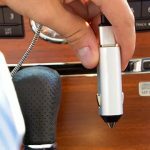 If you are a frequent traveler, a mobile car charger is an absolute must-have for you as your mobile needs to be on so that you can remain connected as well as get directions for reaching your destination. There are different types of mobile car chargers available today in the market. However, before you make a choice, you need to take a few factors into consideration. Let us first understand what a car charger is. What is a car charger? A car charger is a small, portable gadget which can be plugged into the cigarette lighter or accessory port of your car and offer one or more powered USB ports. This gadget is generally used to charge smartphones and tablets. It can also be used to charge many other USB- powered devices including a few models of cameras and battery packs. High Amp output: Generally speaking, a good quality charger delivers at least 2.1 Amps through each USB port. This is sufficient since a smartphone or a tablet requires only half of this, and they get charged at a remarkable speed with this output. So, when you look for a high Amp output, you must look for a 4.8 Amps car charger. If your charger is a dual USB charger, each port will deliver 2.4 Amps, and you can charge two devices simultaneously with the same speed and efficiency. However, if you select a charger whose range of output is less than this, your devices will not be charged properly and effectively. Multiple USB ports: It is possible that a single person uses various devices, or you may be traveling in a group. In this situation, a charger with a single USB port can be a major problem. Here, you need to have a charger with multiple USB ports. If you have it, you don’t need to wait for your turn to charge your device or wait to charge one device after the other. A multiple USB charger can save you a lot of time. You don’t have to hang up important calls because your battery is about to die. It provides an opportunity for everyone traveling with you to charge their devices using the multiple USB ports. Replaceable charging cable: Charging cables have a very short life-span. They constantly need to be replaced. A good car charger does not come with a permanent charging cable. If the charger has a permanent cable and it fails after a certain period, you will have to buy a new charger. Therefore, always try to buy a charger without a permanent cable for convenience and flexibility. If the detachable cable breaks or stops working, you can easily replace it and continue using the charger for years with replaceable cables. 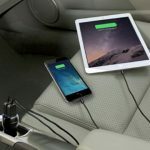 Compatibility with the devices and vehicle: While buying a car charger it is essential that you check its compatibility with the car and the devices it is meant to be charging. This will determine if the charger is useful for you or not. There are various chargers available in the market, but it is wise to choose one depending upon your requirements. If you have different devices, then it is better to select a car charger with universal USB port technology. These are the car chargers which are compatible with almost all types of tablets and smartphones with different operating systems. Also, you need to see if the car charger is adaptable with your vehicle. These days chargers are made according to universal USB port standards, and hence they are compatible with all vehicles. However, if your car was manufactured before those standards were set, then you have to be careful while choosing the charger and buy one which is compatible. Cost: Cost is a crirical factor when you set out to purchase something. Obviously, you want to get the best deal. However, this can be risky in case of car chargers. Although some companies provide high-quality chargers at reasonable rates, few others want to lure customers and sell low-quality items at low prices. Don’t get attracted by these low prices. It is important to note that if the charger is of poor quality, it is a threat to your smartphone or tablet. It may cause damage to your device,. and you will suffer a financial loss. To avoid this loss, it is better to pay a higher price for a good quality charger. Before making your purchase, make sure that the charger has undergone strict quality tests. It must also be protected from high voltage, high current, over-heating, and short-circuiting. It should perform the same for high power as well as low power devices without creating any damage to them. If a charger has these features, you should go ahead and purchase it, even though you may feel that the price is on the higher side. Consider it an investment. Durability: Though it may not seem important, you must check if the charger is made up of sturdy and durable material like metal. This will make the charger longer and save you money in the long run. These are the things one must consider while choosing a mobile car charger. 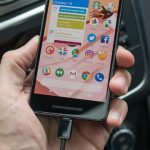 If you keep these factors in mind, you are sure to purchase the best mobile charger as per your requirements, and you can travel without any worry. SHOUNUOXIN have been focusing on car charger R&D and manufacturing process for 12 years. We welcome all OEM & ODM orders from customers around the world. Our salesperson will reach you within 24 hours.